Click here for Plug In Laser Stylus that is used on Qnique 15R, 15M, Q19, Q21 longer arm quilting machines. Battery powered laser stylus is primarily for domestic home sewing machines that do not have the plug in receptacle on the machine. The Grace Company is excited to announce the new Gracie Laser, a quilters' laser stylus. 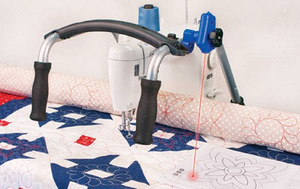 The easy-to-follow Gracie Laser allows quilters to perfect their favorite designs and patterns on their heirloom quilts. The Gracie Laser attaches with a universal swivel mount on the upper frame, that can be positioned at any angle. 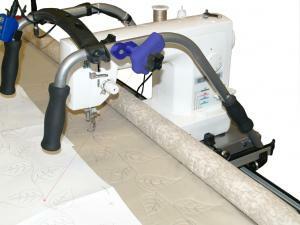 This allows quilters to follow patterns on fabric or work surface. Comes with four different laser tips to control the size of your laser point. Pattern tracing is easier than ever before with the Gracie Laser. Compatible with current Grace frame carriage handles. The Gracie Laser can easily be attached to the front or back of your frame's carriage and is battery powered so you won't have cords getting in the way! It is fully adjustable, has swivel movement and comes with four different laser tips to control the size of your tracing laser. Laser Light can follow patterns on a roll or the fabric designs of an existing fabric quilt. 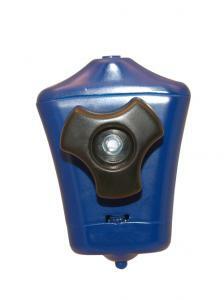 Universal swivel mount can be positioned at any angle on the machine or frame. 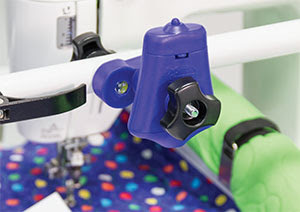 The Gracie Laser is the latest in a line of quality accessories to enhance your quilting experience. Extended hours of use (runs on two AA batteries). Comes with 1mm, 1.5mm 2mm, 2.5mm size tips to give you a variety of point sizes. Grace Gracie Battery Power Laser Light Stylus Pointer to Follow Patterns, is ideal for placement on front or rear handles for domestic portable home sewing machines. Showing laser light mounted at rear of machine to follow patterns on table. 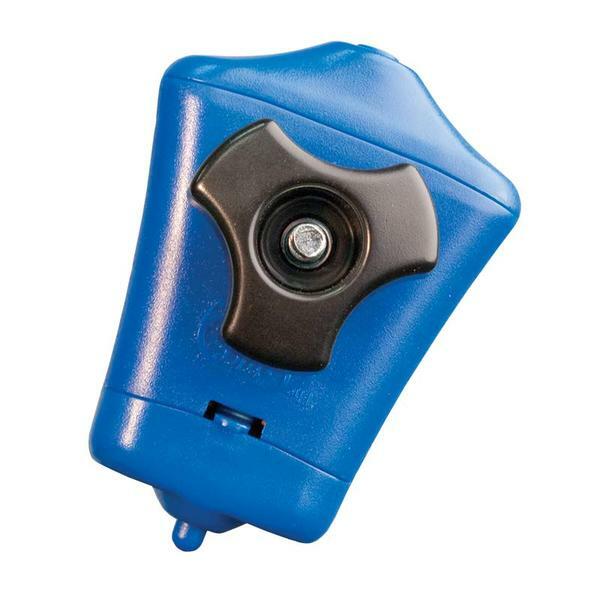 Laser Stylus can be attached to front or rear handles on either side of your machine. Ingenious design. Materials used appear low quality. Hopefully the laser light will operate for a long time. So happy that you put this product on sale. I have been watching it for over 5 years and this was a he first time a sale on it was offered! Fast shipping and the free shipping sealed the deal. Haven't had a chance to assemble but checked boxes and seems to be okay. I did use your online chat with a billing question and they were very helpful. Looking forward to future purchases. I’m so impressed with All Brands and my Grace SR2 quilting frame. My only issue was I did not get notification that it shipped; but I received it faster than I imagined, so it is by no means a complaint. Got my replacement end pieces and all is good. Have sewn two small lap quilts on it and I absolutely love both the frame and the machine from Grace...thanks so much for all your kind help! I give your service and website an A-plus! I've purchased many products from AllBrands and have never had a problem. I enjoy doing business with you. All of my transactions have been a pleasant experience. Thank you so much for the opportunity to do business with you. Good product and well written instructions. I ordered a laser light for a GMQ Pro frame. It came with no instructions for assembly or attaching it to my frame. This was extremely disappointing. Other than that I was satisfied with your service. I was able to contact the Grace Co. and they e-mailed a link to the proper instructions. I had no problems with my order and it arrived on time. Thank you. I love shopping with AllBrands. Your website is super easy to navigate, and the products are always exactly as you describe. Thanks so much for great service and great products! Thank you for your quick service. The price was great. This was not the first purchase from your company and it won't be the last. It's been a good experience.